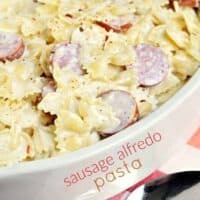 If you’re looking for a versatile, easy dinner idea, I’ve got you covered with this Creamy Sausage Alfredo Pasta recipe ready in 30 minutes! Or go meatless! Try adding in some fresh spinach and broccoli, or asparagus! And don’t even get me started on the pasta…. 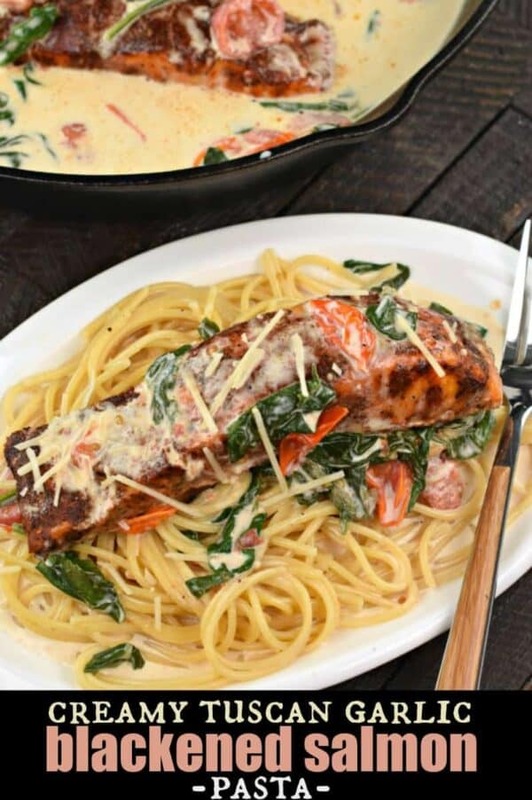 We love bow tie pasta with this dish, but you can do fettucini, spaghetti, penne, rigatoni….see what I mean? Finally. If you want to make this in advance….DO IT. Get it all made, to the final step, then pour it into a 2 qt serving dish and cover with foil. Stick it in your refrigerator and bake it at dinner time (foil on). Now, are you drooling yet? Are you trying to figure out which winning combination you will make? One last thought….like a little spice in your dish? Add a sprinkle of crushed red pepper flakes right before serving! You’re welcome! 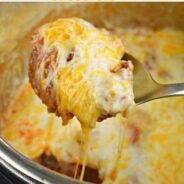 Love pasta recipes? Here are a few of my favorites…. 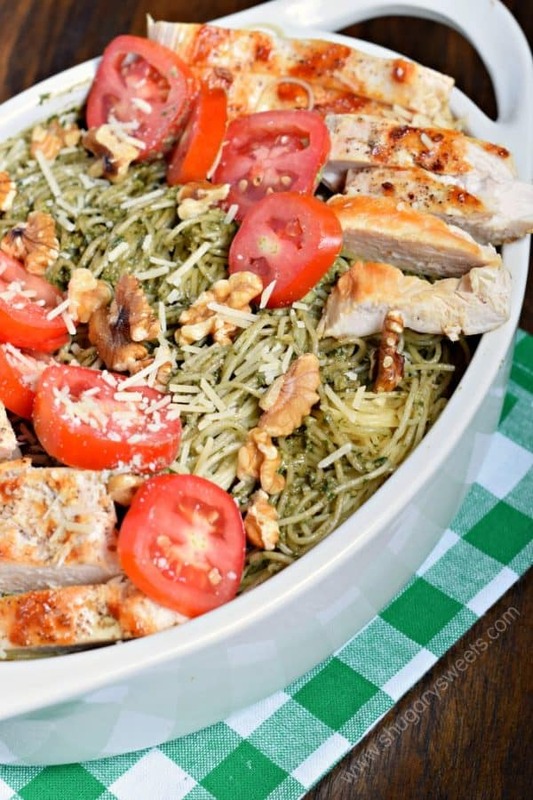 Chicken Pesto Pasta: a delicious, quick dinner recipe for busy weeknights! 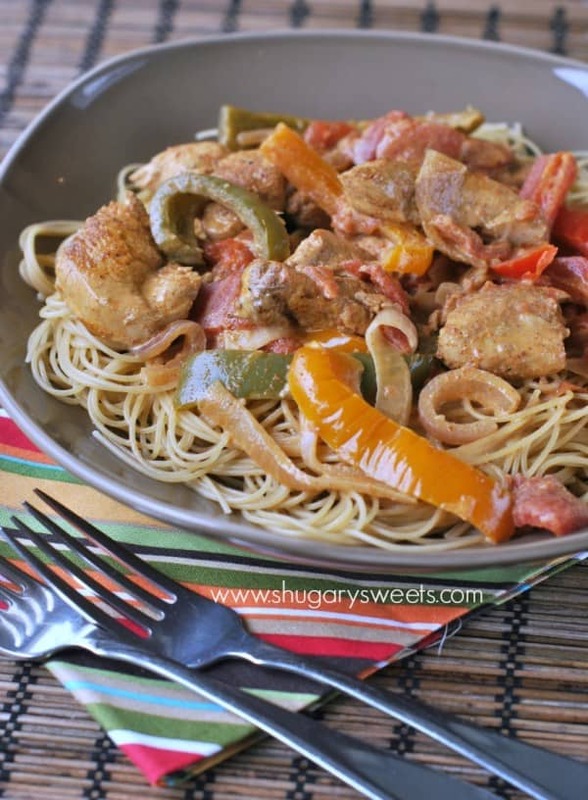 Cajun Chicken Pasta: so easy and tasty! 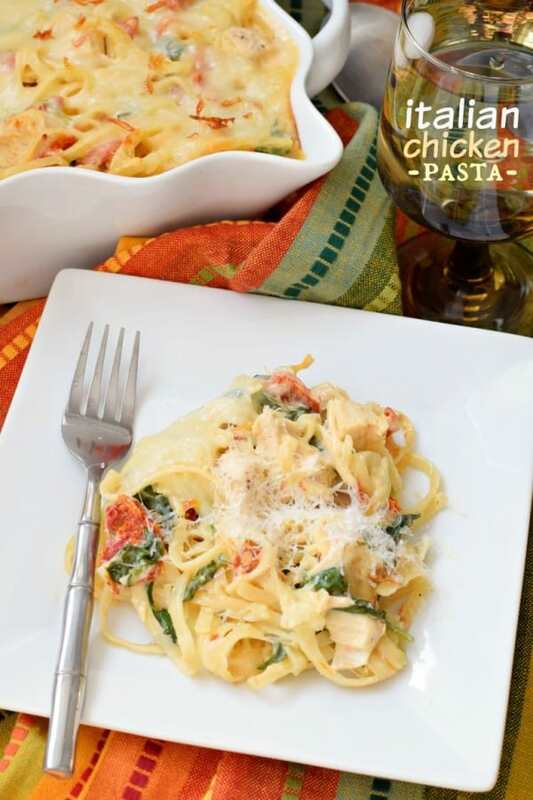 Serve up this Italian Chicken Pasta and watch your family devour it! While pasta cooks, add butter and garlic to a large skillet over medium high heat. Cook for about 2-3 minutes, until butter is melted and garlic begins to brown. Slowly add in heavy cream, salt, and pepper. Simmer until sauce thickens on medium heat, about 8-10 minutes. Stir frequently. Add in Parmesan cheese and red pepper flakes (optional). Stir in sliced sausage and add to pot with drained pasta. Stir together, serve, and enjoy! 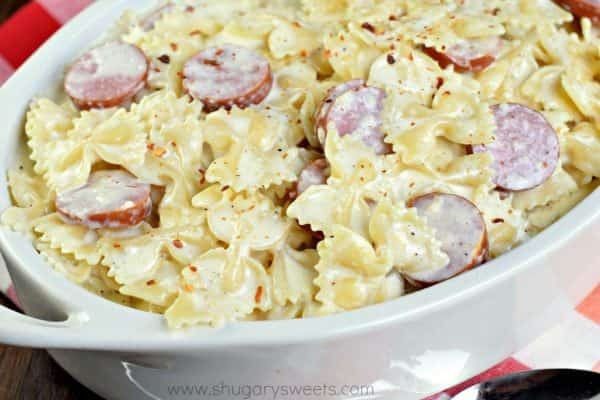 *Today’s recipe for Sausage Alfredo Pasta was originally published on Shugary Sweets on October 13, 2016 and has been republished in September 2018. 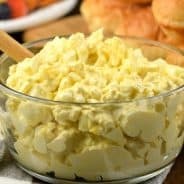 U Show very good recipes on here and they are all @a very good cost to make as well as easy to make, so if their are people out their that need help to make new things to cook for the kids and husbands this is a very good place to come ,so keep up the good work girl …???????????????? This is a great combo. 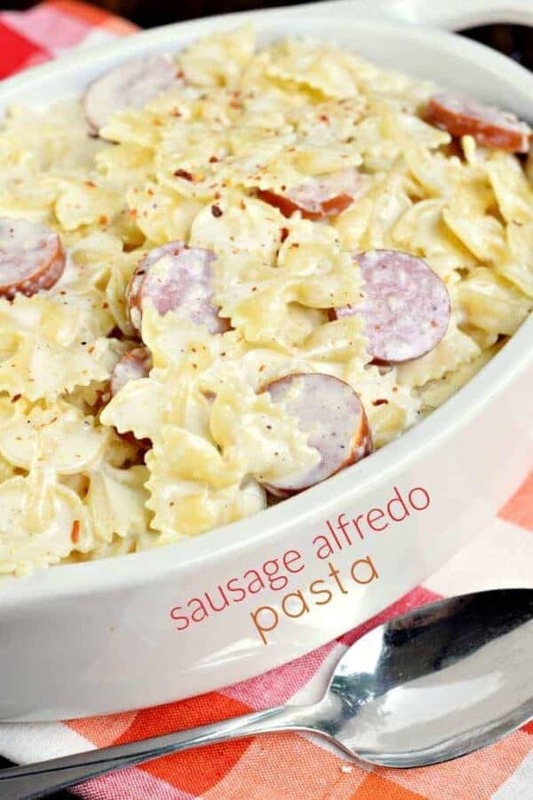 Sausage, alfredo and pasta. Yum! I’ve never frozen alfredo before. I would fear that the milk products would not do well, and being to separate…but maybe others have had a different experience? You can freeze Alfredo???? I made to much alfredo and put the rest in a freezer zip lock bag and a month later I cleaned out my ice box and was wondering what to cook and I seen the Alfredo and I got it out put it in the microwave for 2 minutes then put it in my cast iron skillet and heated it up and it was amazing???? Looking forward in trying other receipts. I have all of the ingredients on hand but I only have the round thin italian sausage. Do you think this would work in your recipe? I’m not so sure. I’m not sure what the round thin Italian sausage is?? But, as long as it’s cooked, and you like it, use it! You can also use cooked chicken! I just made this dish, my girls have been begging me to make a pasta alfredo. I didn’t change a thing, I added chicken, we are meat lovers. It just finished cooking, my daughter did a taste test and she was jumping up and down, she loves it! The red pepper flakes gives it just the right small after burn that we love. This is perfect, I did make too much pasta, I bagged it up and put it in the refrigerator for another use. Well it’s dinner time! Oh, and thanks so much for sharing this wonderful version of an old dish! My daughter absolutely loves this dish. Surprisingly because she doesn’t like cheese. 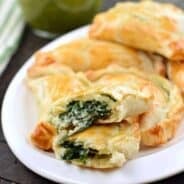 So easy to make and absolutely delicious. 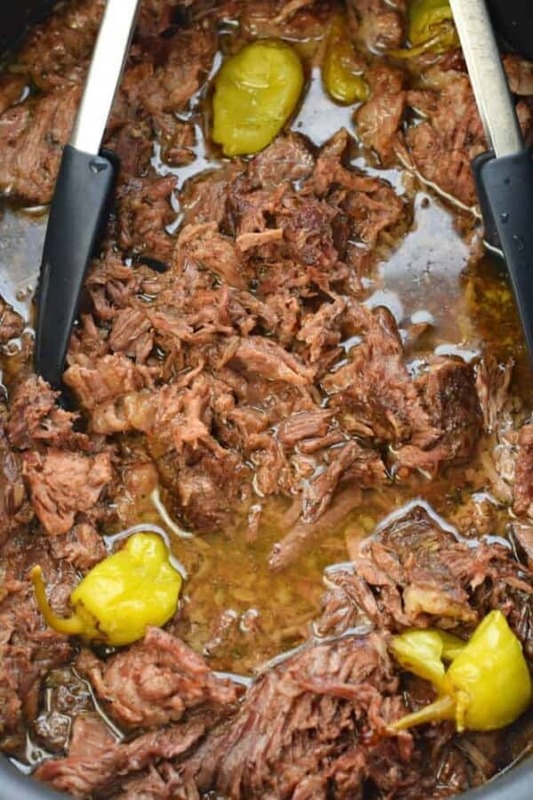 This dish is amazing day of me and my husband loveee it but when rewarmed I feel like the butter takes over and it’s so greasy am I doing something in the recipe wrong or is there a way to fix this ??? No, it’s true. It’s not a good dish to reheat because the cream separates just like you described, unfortunately. Yes! I know what we’re having for dinner tonight! I love that you can shake it up depending on what you have in the fridge. Can’t wait to try it! Enjoy! It’s such an easy, versatile dish. Hope you love it! 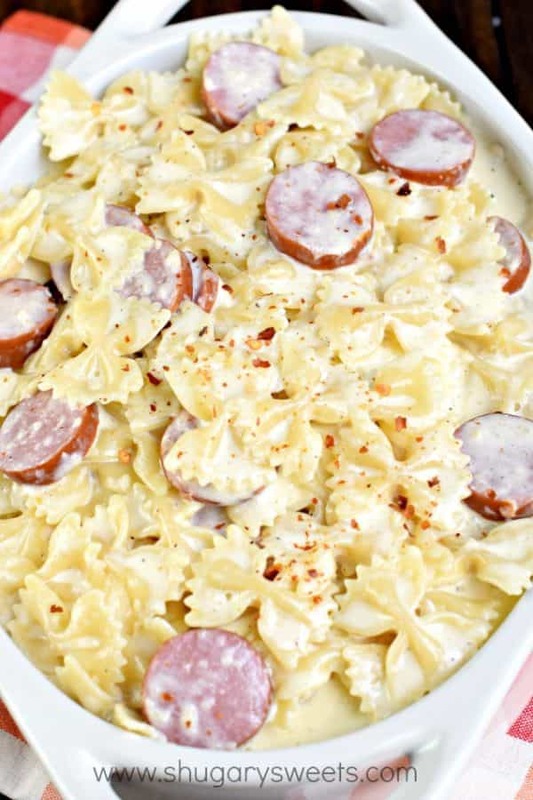 I’m trying to get to the sausage alfredo pasta recipe, but I can’t seem to retrieve it. Any suggestions?